Please join us for a Shabbat of learning with Rabbi Nathaniel (Nati) Helfgot. Shiur at 12pm before lunch. Babysitting for children ages 2+ provided during shiur. Sponsored by the Dr. H. Harold Gelfand Memorial Institute of Adult Education. Co-sponsored by Alan Gersch and Lili Kalish Gersch. 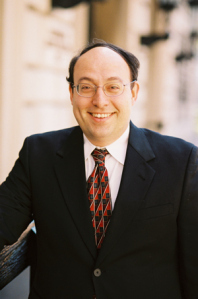 Rabbi Nathaniel Helfgot is the spiritual leader of Congregation Netivot Shalom in Teaneck, NJ and the Chair of the Department of Talmud and Rabbinics at SAR High School. He was ordained by RIETS and holds an MA in Education from the Azrieli Graduate School of Yeshiva University. Rabbi Helfgot is the president of the International Rabbinic Fellowship and has been a leader in the Rabbinical Council of America (RCA). Deadline for registration is Tuesday, March 19 at 1pm.